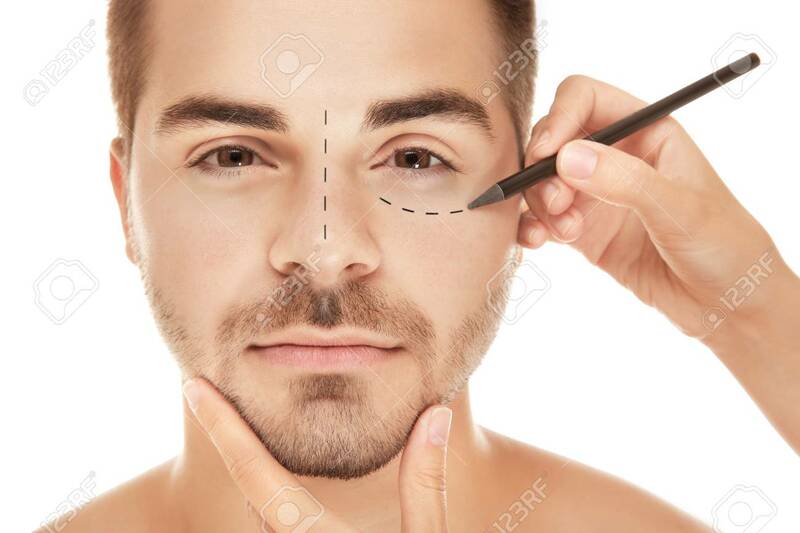 Surgeon Drawing Marks On Male Face Against White Background. Plastic Surgery Concept Banque D'Images Et Photos Libres De Droits. Image 95586941.